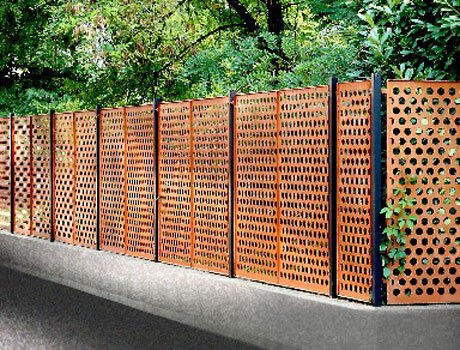 Elegant, sophisticated and sturdy fences. Meshes with a high degree of shielding will protect privacy, almost completely blocking the view from the outside while allowing the view from the inside. Fences with hot-dip galvanization or painted with polyester powders in the colours from the RAL tables.